I seldom meet anyone who never heard of Franklin’s thirteen-week plan, but I never met anyone who has told me he tried it! I hope, therefore, that some of my descendants may follow the example, and reap the benefit. FY’s community will also join in on Franklin’s Thirteen-week Plan. They will list and share their thirteen subjects and summaries with you and six others of their choice. Y’all are to agree to the best way to communicate with each other. I prefer exchanging numbers because it’s more instant and direct than Twitter, Facebook or email. Once they’ve shared their list, which will be in the order in which they plan to use it, they will assign seven people who represent the seven days of the week, to text or voicemail their subjects and summaries. This is for the subconscious. Five should be text; two should be voice mails. Har-old, you are not to or the others are not to get out-of-order meaning texting or voicing a person’s third subject during the first week, which is their first subject. Furthermore, you are only to be read or heard from once a week. No more! At the end of every week you are to update everyone on your progress. This can either be done via a blog post, a text, an email, tweet or even phone conversation. Obviously, you can’t spread yourself to all seven people with a method like the last one-phone conversation-so again, agree on some end of the week method of updating everyone. Har-old, writing this made me think of Dean Martin‘s Send Me The Pillow You Dream On. Listening to it now. I’m making this the theme song for this letter and the Thirteen-week Plan. Ha! P.S. OMG! is now updated. P.P.S. Let me know in the comments or through the contact form if you would like to participate. I’m in…but let me re-read and all that jazz. Awesome! My 13 is mentioned in my first ever letter, OMG! It’s only me doing this so it would be great if I had someone to keep me focus and vice versa. It’s like working out together. Well, this is really awesome. I wish I had time to commit- definitely in the future. Best of luck, best of luck! First off, Frant Betger book is one of the best I have ever read. 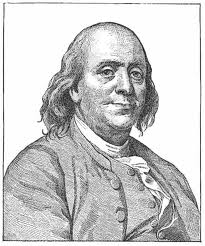 I also have created my own thirteen week plan by merging Betgers, Franklin’s and my own ideas. If you don’t have a plan for yourself, you will always be executing someone elses. I put a twist to Bettger’s and Franklin’s idea by making it more social. I like the idea. I’ve done something similar but it was 12 ideas, one idea per month which were sometimes aligned with the holiday of the month (ex. February was 28 days of love). It’s actually harder than it sounds so doing it with friends who monitor/check your progress makes is easier and fun. Good Luck…can’t wait to hear your subjects/updates. It sounds interesting, but yeah I’m a little confused with the seven people too. So, they’re basically just a reminder throughout the week to keep reminding us to work on the subject? And we’ll also each be one of someone else’s seven? But sure! Count me in! Yeah,you can look at it as a remainder or encouragement … but it has to be from seven different people who genuinely want to see and help you succeed. You will choose these seven people yourself, carefully though. It’s intended for the subconscious. This is similar to inspirational and motivational post-it notes. Remember, these are your own words being used on you. Yeah, it will work both ways. The plan is to have other people use our own words against us and to keep our mind focused on mastering that subject for it’s week. After the 13th week it starts all over again. You will go through the process 4 times in a year. I do like the idea, but I need some clarification on the updating the seven people part. Do I have a Monday person, Tuesday person, etc that I check in with my progress? I’m going to say yes to this idea. Thanks, Har+new! Yes, your Monday, Tuesday, Wednesday, etc will text or voicemail you your own subject and summary. Then at the end of the week-the day your last person text or voicemail you-you are to update them on how the week went with that particular subject. Remember: you gave that subject your strict attention. Did you have difficulty with it? Did you improve on it? Summarize the week. This works both ways:You are to be one of their days of the week too;they will also update you at the end of the week.